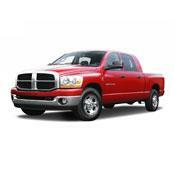 The Dodge Ram 2500 is the three-quarter-ton heavy-duty Dodge pickup. The 2009 Dodge Ram 2500 is powered by a new 355-horsepower 5.7-liter HEMI V8 engine that produces 395 lb-ft of torque and is paired with a 5-speed automatic transmission. Model Reviewed: 2500 HD - Cummins Turbo D.
Excelent running truck...even in the cold winters. Starts up in sub-zero temps after sitting for at least 9 hours, without being plugged in, with no problem. Laramie package is comfortable, nice amenities. Exhaust regenerate needed 1x week if in town driving only...not getting over 40 mph. 2008 Ram 1500. Test drove 2011 Ford F250 Powerstroke as well...just felt too cheap. Could not sacrifice the Cummins for a test rat engine like the new Powerstroke. interior is a little plain and the seats arent as comfortable as my old Chevy. But the diesel and truck are far better. 24000 miles and nothing...nothing has gone wrong. The truck is capable of 14mpg in town and 18.5 to 20.7 mpg hand calculated highway. And it is a 3/4 ton so I dont have to worry when I haul the slide-in camper. First truck I have ever owned that has not had anything but oil changes in the first two years. Solid truck. The ride isnt bad although it can be a little bouncy on very rough roads. But then again, it is a truck and not a car. I expect the Cummins will go for several hundred thousand miles. Dont try that with a gas motor. Even though diesel is a bit more expensive I can run biodiesel with no downsides and the truck mileage is pretty efficient vs gas trucks I have owned...even 1/2 tons. The exhaust brake in the mountains means my brakes are lasting an unbelievably long time. My dad has a 2005 dodge ram cummins diesel we just put teh edge juice chip on it lot of power on level 5 400 horsepower and 860 foot pounds of torqe best truck in the world. Its fully loaded with a sun roof heated seats it has remote start its loaded. 2003 Dakota just a little to small and a 2004 dodge ram hemi truck ate too much gas but had a lot of power both wer loaded. Great great pick-up 4.10 gears and still makes 15 mpg. Used to have a half ton and loved it but totaled it so i upgraded I will never buy a chevy or ford. No comparison!!!! Not well built to say the least! Behind the times. This was a very heavy duty truck at first glance, but that is all you can say about it. Cost a whopping $40,000 and was not worth half that. Had problems from the beginning. Heated up when pulling normal loads in mountains. Dealers said just pull over to cool it off!! Front tires wore out in half the time of normal 1 tons. Front suspension wore out at alarming rate and very expensive for parts to rapair it. Check engine light on often. Brakes shuttered when new. Rode rougher than competitors. All of this happened in 25,000 miles, so we traded and took loss rather than a law suite with Dodge. Was in the shop 3 months total during that time in 5 different dealers!!! Cummins may be a good engine, but not in a Dodge. Chevy 3500 and Ford 350, 450. Very poor clearance under bumper and front end (ie. scraps or bottoms out in every little ditch). Very poor visibility over hood and windshield wipers. 40/20/40 front seat and nonremoveable plastic tray on floor. Only 2 passengers fit comforably, not a work truck. Not very well thought out or design tested. Great engine, providing plenty of pulling power, and a strong 4x4 suspension for pulling loads over very rough terrian... Plush slt interior is very comfortable for long trips. At 70-72mph the truck is getting 19-21mpg with the cruise set for 3-4 hours at a time! Back seat is hard as a rock, Truck came with a squeeky belt, I have tried to fix several times, but have not had the time to take back to Dodge to see if they would repair. I bought this truck from Jennifer at Prebul Dodge July 2002, I have so far put over 41,000 miles on this truck, it has every option that it can have with the turbo diesel auto. I have run 80mph for hours on end with the truck way past gross... Even at this it maintained 9-11mpg. Previously owned a 1999 Dodge 1500 quad cab. Put over 80,000 miles on this truck before killing it towing what I should have used the 2500 for! it will pull my hores and cows almost twice faster than my 2000 ram i had.you can cruise on parkway atleast 85 mph. no sweat. i owned a 2000 dodge ram 2500 desiel. i traded it to a 2003 ram with the high output cummins. that was the smartest thing i ever have done.My brother has a 2002Chevy duramax desiel and he wanting to trade it to a new dodge. i recomend you to buy a ram desiel. a high climb ot get into the cab. 5.9 diesel has lots of pulling power. I have a travel trailer that is in the 9000 lb range and this truck will pull it up any hil. My old 1996 5.9 gas really struggled on hills and in 60000 miles and 5 transmissions it was time to change.